Pain behind the knee, aka posterior knee pain, is a common problem and can be the result of a whole range of knee injuries. Damage to any of the structures at the back of the knee, or swelling around the knee joint itself can all lead to pain behind the knee. Not only can it affect your ability to walk and carry out your usual activities, posterior knee pain can also really affect your sleep. Posterior knee pain may develop gradually over time due to an underlying knee condition such as arthritis, or it may develop suddenly, which is usually due to an injury such as a ligament tear. There may be a general achy back of knee pain, leg movements may be restricted by swelling or there may be a sharp pain at the back of the knee. Here we will look at the most common causes of pain behind the knee and how to beat them. By thinking about how your pain started, the common symptoms and how your pain behaves, you can work out what is causing your pain. As you read through each summary, decide whether it sounds like your problem or not. If it does, read the full article to find out everything you need to know about the causes, symptoms, diagnosis and best treatment options. If it doesn't sound quite like your pain, simply move on to the next one. Finally, we will look at some of the most frequently asked questions about pain at the back of the knee. What's Causing Your Pain Behind The Knee? Here, you can find answers to the questions we are most commonly asked regarding symptoms associated with pain at the back of the knee. 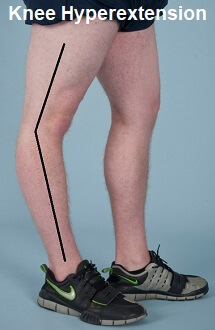 What Causes Pain Behind The Knee When Straightening The Leg? The most common cause of knee pain when you straighten the leg is a meniscus tear, particularly if you've been sitting down or squatting for a while. As the knee straightens out from a bent position, the torn, inflamed portion of cartilage gets squashed in the joint, causing pain in the back of the knee. What Causes Pain Behind The Knee When Bending? The most common cause of pain behind the knee when bending is a Bakers Cyst. This is when there is inflammation of the semimembranosus bursa, a small sac filled with fluid that sits at the back of the knee. 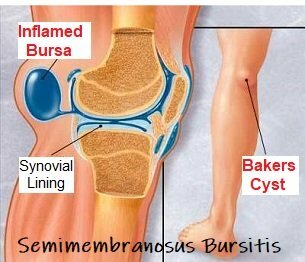 If it gets inflamed then any time you bend your knee, the bursa gets squashed, causing posterior knee pain. What Causes Tightness Behind The Knee? Tightness behind the knee is often caused by tightness in the hamstring or calf muscles. The hamstring muscles run down the back of the thigh attaching behind the knee, and one of the calf muscles, gastrocnemius, arises from the back of the knee and travels down to the heel. Tightness in these muscles is a common problem, particularly in men, and makes the back of the knee feel very tight. Simple knee stretches are the best way to treat the tightness. 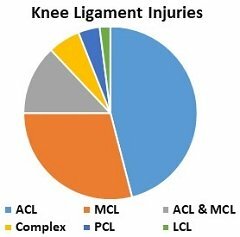 What Causes Pain Behind The Kneecap? Pain behind the kneecap is usually caused by a problem with the cartilage that lines the back of the kneecap. It may be Runners Knee, where a problem with how the kneecap glides causes friction and pain behind the kneecap. In teenagers, pain behind the kneecap is often caused by Chondromalacia Patella, a condition where there is thinning of the cartilage on the back of the kneecap. What Causes Swelling Behind The Knee? Swelling behind the knee is most commonly caused by a Baker's Cyst. Excess fluid in the knee joint, usually from an injury or knee arthritis, leaks out of the back of the joint filling the semimembranosus bursa and causing swelling behind the knee. It often feels like there is a squashy orange behind the knee. Pain behind the knee after sitting for prolonged periods is often caused by arthritis. 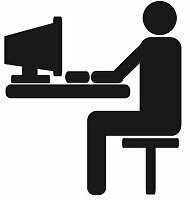 When we sit still, the fluid that lubricates the knee joint dries out slightly so when we then stand up, there is less cushioning. 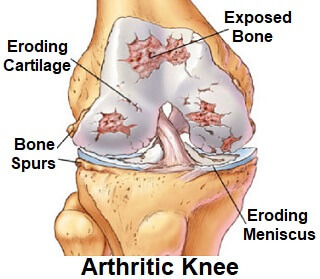 The wear and tear associated with arthritis mean you can end up with the knee bones rubbing together, causing pain. Once you are up and moving about, the joint produces more synovial fluid so, after a few minutes of moving around, the pain eases off. What Causes Sharp Pain Behind The Knee? If you are a runner, then sharp pain at the back of the knee often indicates a problem with the hamstring tendons, such as tendonitis. If you do a lot of cycling, then a sharp pain behind your knee is usually caused by tendonitis in one of the calf muscles, gastrocnemius. 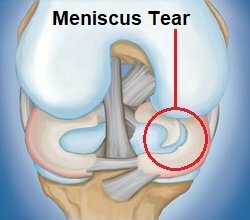 If you have recently twisted your knee or had a fall, then a meniscus tear is probably causing the sharp pain. What's The Best Back Of Knee Pain Treatment? The best treatment for back of knee pain will depend on what's causing the pain. Generally, the first step is to reduce any swelling, then work on exercises to improve the strength and stability of the knee to reduce the force that goes through the knee joint. 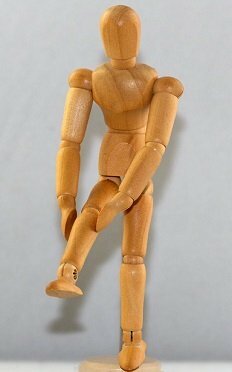 To find out more about these common causes of pain behind knee, click on the links above. People often have lots more questions, such as what are the best exercises for treating pain in the back of your knee? 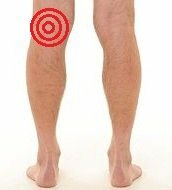 What is the muscle behind the knee called? How do I know if I've got a DVT? You can find answers to these and other questions in the back of knee FAQ's section. However, just because there is pain in the back of the knee, doesn’t necessarily mean the problem is there. Pain can refer to different places so a problem around the front of the knee can produce a feeling of posterior knee pain. If you would prefer to diagnose your back of knee pain using other specific symptoms such as how the pain started or the specific location of the pain, go to the diagnose your pain section for help working out was is causing your posterior knee pain and to learn what you can do about it. Remember, the best way to accurately diagnose the cause of your pain behind the knee is to see your doctor.